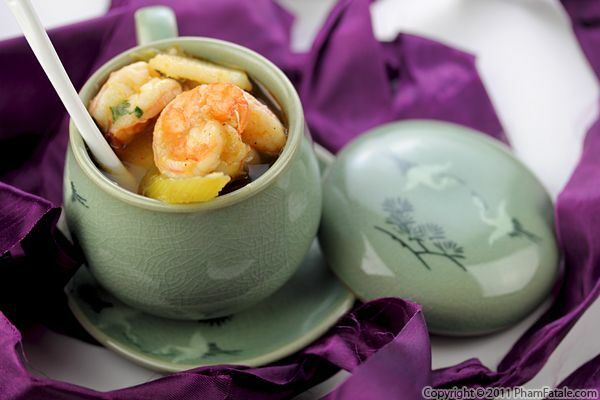 Canh chua tôm literally translates to "sour shrimp soup" in Vietnamese. 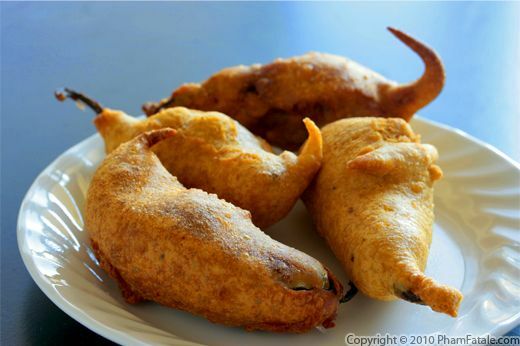 The name and the flavor come from the combination of kaffir lime leaves, tamarind and pineapple. 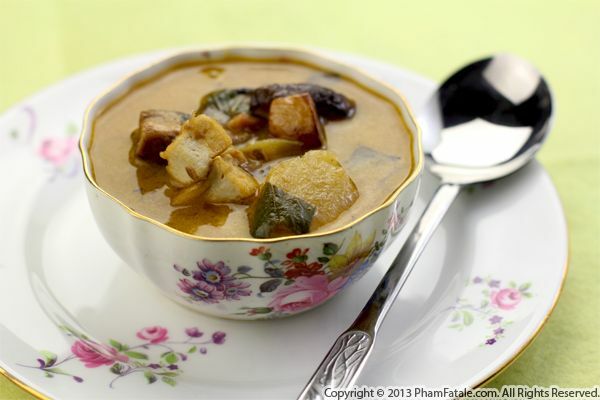 A hint of spiciness from Thai chiles makes the soup especially soothing. I've been a bit under the weather the past few days and the warm broth worked wonders on my congestion. 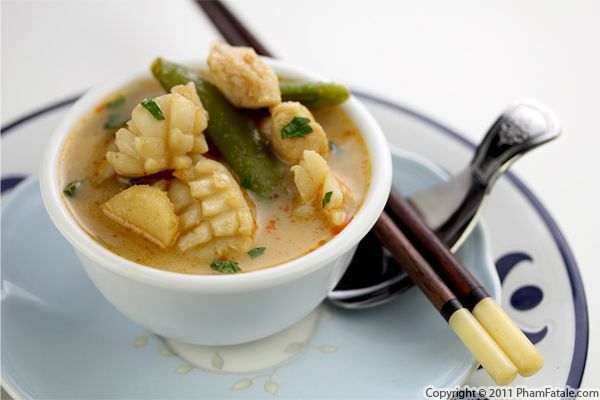 There are many variations of this seafood recipe. In this particular version, I mixed oyster mushrooms and fresh water chestnuts, which added crunch to the soup. I served it as a main course, so I added rice round noodles to make the meal complete. 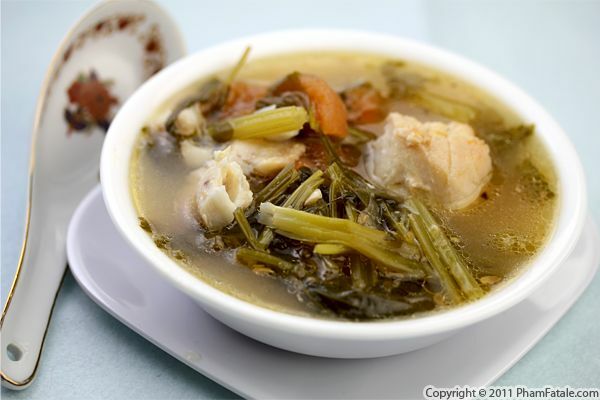 If you decide to serve it at an Asian-themed dinner, this canh (soup) is a light way to start a meal.